With more than 10 years of experience in the industry, our scaffolding sales in Brisbane have positioned us as a market leader in our field. When you shop with Molecular Scaffold Sales you’ll be assisted by our team of friendly experts who can offer guidance, give you unbiased advice, and help you to select the best scaffolding solution for your building needs. Should our scaffold packages not quite fit your brief, we’re happy to customise a scaffolding solution that does. Whether you’re a tradesman, builder, or owner of a hire company, you can benefit from top quality steel and aluminium scaffolding at an affordable price. You may recall that once upon a time, Quickscaff scaffolding was practically the only option in Australia and although it had certain benefits, it was heavy and time-consuming to assemble. We still wonder how it ever gots its name ‘Quick’! Hire companies at that time were charging a lot of money for their services, which weren’t always that good, which is why our founder, Carsten Manntz decided to develop and manufacture a totally new type of scaffolding for the Australian market – Galvanised Steel Frame Scaffolding. This innovative product had several key benefits that Quickstaff was lacking and even better, it could be assembled in half the time. While you’ll find plenty of copies of our scaffolding systems out there, our volume of scaffolding sales in Brisbane indicates that few come close to the quality of ours. Why buy and not hire? Buying your own scaffolding soon pays for itself in terms of time and money since you no longer have to fork out for ongoing hire costs; plus assembly time is quick and easy too. Since we manufacture our own products we know them inside out and can answer your questions accurately. 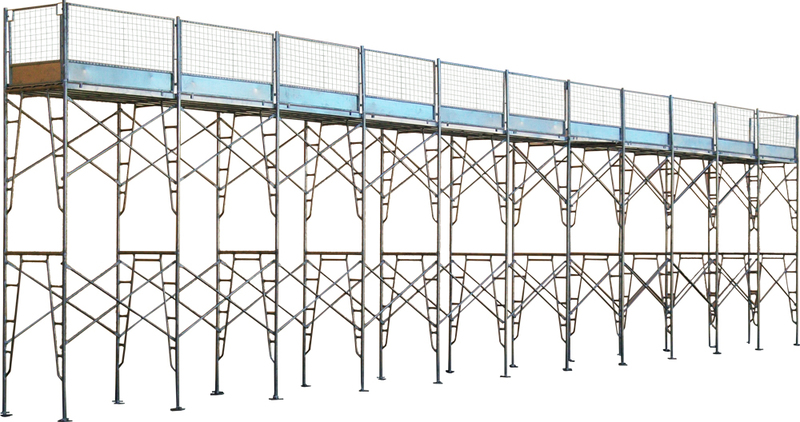 In addition to our variety of packaged scaffolding options, we’re also able to custom a scaffolding system to meet your exacting needs. Furthermore, our scaffolding sales in Brisbane don’t just end there. We also pride ourselves on delivering an exceptional after-sales service should you need advice or help with scaffolding any time later. Why is our scaffolding the best? We attribute our successful scaffolding sales in Brisbane to the fact that we cater to anyone looking for a safer way to work at height. Whether you’re a roofie, gutter fixer, brickie, or a homeowner looking to do a spot of DIY, we can provide scaffolding solutions to satisfy all building, renovation, and restorative needs. 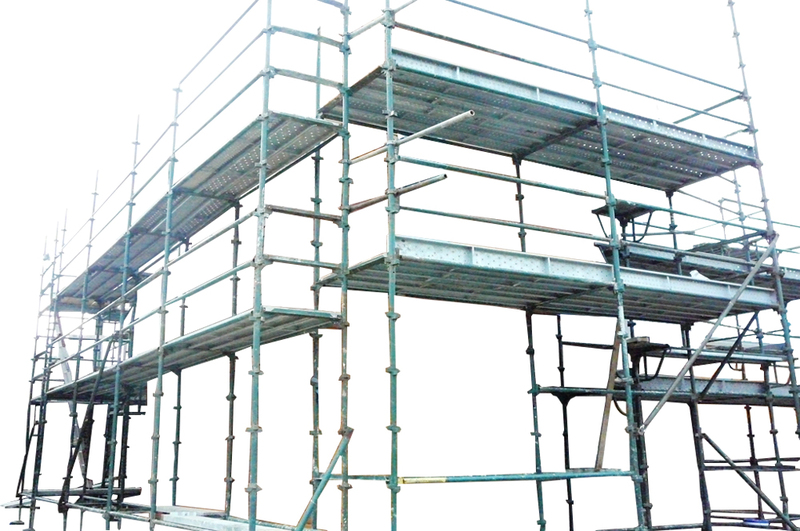 Galvanised steel frame scaffolding – a complete scaffolding system for builders, tradesmen, and hire companies. With a wide range of heights and lengths, it can be easily adapted to assist with fascia, gutter, roofing and perimeter applications. Able to handle heavy workloads it’s a reliable workhorse. Aluminium mobile towers – Lightweight, strong, and easy to move around our mobiles are perfect for those smaller projects and well suited to DIY aficionados. Available in a choice of 4 packages or why not let us custom a mobile tower for you? Trailer scaffolding packs – This unique product stores and transports your scaffolding to site with ease. Simply hitch it to your trailer, start your engine, and hit the road. Assembly takes around 3 hours and requires a minimum of 2 men. Quickscaff scaffolding – Old style scaffolding done our way – complements existing Quickscaff systems. All of these products come in a variety of sizes and are always in stock and ready to order right away. With our efficient service and prompt delivery to your door, we won’t keep you waiting for weeks before you can get started. Why not put our scaffolding sales in Brisbane to the test? We promise you won’t be disappointed. 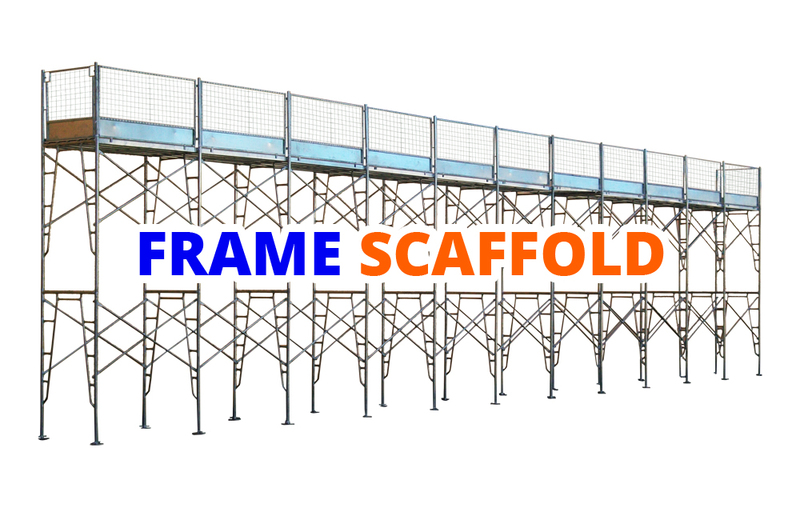 Give Molecular Scaffold Sales a call today on 1300 072 233 to find out more about our quality scaffolding systems or to place an order.